Institute of Business Administration (IBA) Karachi admissions 2018 have been announced by one of the best academic university in Pakistan for business studies. Students are invited to apply in multiple undergraduate, graduate and master programs including BBA, BBA(Entrepreneurship), BS, BS(CS), BS Economics and Mathematics, MBA, MBA Executive, MS, MS(CS), M Phill and Ph.D. in different subjects. 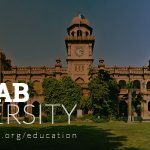 IBA Karachi admission policy is exactingly based on merit and that candidate who meets eligibility requirements for particular degree programs are offered the admission letter. IBA is one of the top-ranked business universities in Pakistan ranked by the Higher Education Commission (HEC). 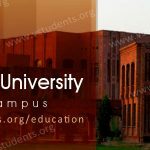 Below is the complete guideline for enrollment into IBA Karachi including complete admission process, form download, last date, IBA fee structure 2018, admission requirements and eligibility criteria, admission procedure and required documents to be submitted with the admission form, entry test date, admission criteria, display of merit list, financial assistance programs, scholarships and offered jobs in IBA University Karachi. IBA Karachi has started the admission into a various degree program in different department Business Administration, Computer Science, Accounting and Finance, Mathematics, Statistics etc. They have launched these courses in the Spring as well as in the Fall semester of 2018. 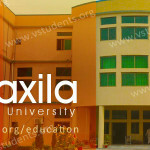 One short semester called summer semester is offered to the students to improve their deficiency and grades. IBA Karachi publishes an academic calendar at the start of new session which is helpful in evaluating the pace and quality of education. IBA Karachi faculty is one of the best of the international standards meeting the criteria as approved by the HEC. IBA Karachi Prospectus can be obtained from the admission office of Main campus as well as city campus. IBA Karachi has published admission notice for inviting admission application from suitable candidates who fulfill minimum eligibility criteria for enrollment into different degree programs. Admissions are announced two times in an academic year. BBA, BS (Acc. & Fin. ), BS Economics, BS (Social Sci.) ROUND-2: June 21, 2018. BS (Computer Science / Economics & Mathematics) Round -2: July 18, 2018. MBA Last date: April 12, 2018. MBA Executive: August 10, 2018. For more details about undergraduate admissions click here. 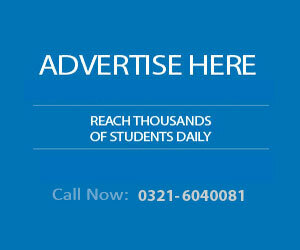 For graduate post graduate programs last dates and entry test dates, click here. 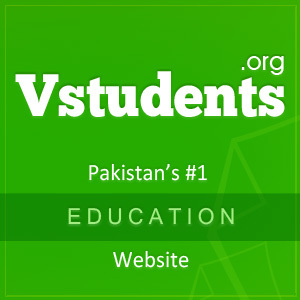 Are you looking for more Universities in Karachi? 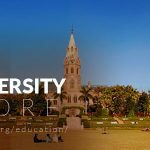 Must visit complete information about these top universities in Karachi University of Karachi (UOK), and Iqra University Karachi. It should be noted that you can only apply online for admission at IBA Karachi. No manual admission form or downloaded admission form is required. You should fill the form carefully and provide correct information for getting IBA BBA & MBA admission 2018. Online admission form is submitted by Clicking Here. IBA Karachi allows only online admissions application to get admission into any discipline published in admission advertisement. For the facility of candidates, we have mentioned the steps for online admissions. Apply for admission online by Clicking Here. Complete the registration form and Username and password will be emailed to you at the given email address. Click on the link mentioned in the email and enter username and password to login. Fill the admission form carefully following the instructions mentioned on the form. Mandatory fields are not left blank. Upload your recent color passport size picture according to the format specified. Otherwise application will be rejected. Deposit the processing fee Rs. 4000/- in any branch of Faysal bank before or on the Last date. After that visit the admission office of IBA Karachi main campus or city campus to collect your admit card for aptitude test. IBA Karachi Admission advertisement is published in electronic for IBA admission last date and list of degree programs offered by IBA Karachi. IBA Karachi admission advertisement is published in most of the national news papers for the knowledge of willing candidates that admissions are open at IBA. Last date is mentioned at prominent place in the advertisement. Candidates should follow the admission procedure given in the admission advertisement or we have mentioned this complete procedure in the above paragraph. 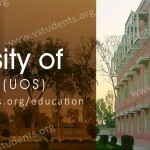 Willing candidates must purchase prospectus from admission office of university. If you are looking for admission into IBA Karachi, then it is advised that you should first check the eligibility criteria and requirements for admission at IBA. If you are satisfied that you fulfill these eligibility criteria then apply for the admission. IBA eligibility criteria for getting admission into undergraduate program is that candidate must pass HSSC or equivalent with at least 60% marks. For getting admission into master degree program is that candidate must qualify bachelor degree with minimum 60% marks or 2.5 CGPA. For admission into any degree program offered by IBA, aptitude test is mandatory. IBA Karachi BBA and MBA Admission Criteria 2018: IBA eligibility criteria for getting admission in BBA is that the candidate must have passed HSSC or equivalent with at least 60% marks in the final exams. For MBA or any other master degree program, the candidate must have qualified bachelor degree with minimum 60% marks or 2.5 CGPA in graduation. Institute of Business administration Karachi offers BBA(Hons), BBA(Entrepreneurship), BS (Accounting & Finance), BS Computer Science, BS Economics and Mathematics, BS Social Sciences and Liberal Arts. Graduate degree programs include MBA, Executive MBA, MSCS, MS Economics, MS Mathematics. IBA PhD degree program which are in progress at present are PhD Computer Sc, PhD Economics, PhD Mathematics, PhD Statistics. The above fee package mentioned by the IBA includes Tuition fee, student activity charges, and examination fee, laboratory and library fund and development charges. You can Click Here to see the complete fee package including different charges. IBA conducts aptitude entry test for admission and announce the last date to conduct the tests for different degree programs. Candidates have to qualify the SAT-I aptitude test for BBA, SAT-I and SAT-II for the admission into BS level degree program. GMAT test is required to be passed by those candidates who wish to take admission in MBA or MBA Executive. GRE general and specialization test is required for admission into MS and PhD programs. You can download previous entry test papers conducted by IBA by clicking Here. After qualifying the aptitude test, interview and groups discussion for specific degree program, merit list of the successful candidates are prepared and displayed in each department as well as one the official website of the IBA Karachi www.iba.edu.pk. 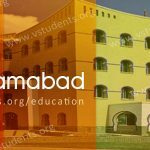 Merit list is prepared according to the criteria specified in the admission policy of the IBA calculating the marks obtained in academic certificates as well as in interviews and group discussions. 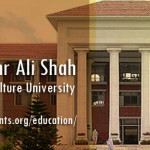 Merit list is uploaded on the university website and candidates are required to submit fee dues within given time period. After deposit of fee, their admission is confirmed. IBA grants merit scholarships to those students who get maximum marks in IBA aptitude test and top ten candidates are awarded this scholarships giving them 50% fee concession in tuition fee during the entire study period of degree programs in which they are enrolled. IBA also provides financial assistance to the deserving students for up to 50% concession in tuition fee. 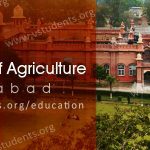 The students must apply through proper channel by submitting an application to the Head of Department which recommends application and forward to the competent authority for approval. Address: Institute of Business Administration, University Road Karachi.